As of yesterday, filming on next year’s film Joker has wrapped. Director Todd Phillips expressed such in an instagram post yesterday with the caption, “That’s a wrap on production. Thanks to the greatest crew NYC has to offer. It was a fun shoot— but we’re not there yet. #editingroom” This indicates that the project is ready to move into post-production, and closer towards its eventual release. Philips’ take on the Joker, notorious rival of Batman and terrorizer of Gotham city, will be the first of multiple DC films that will exist outside of the shared DC cinematic Universe which include the current iterations of Batman, Superman, Wonder Woman, etc. 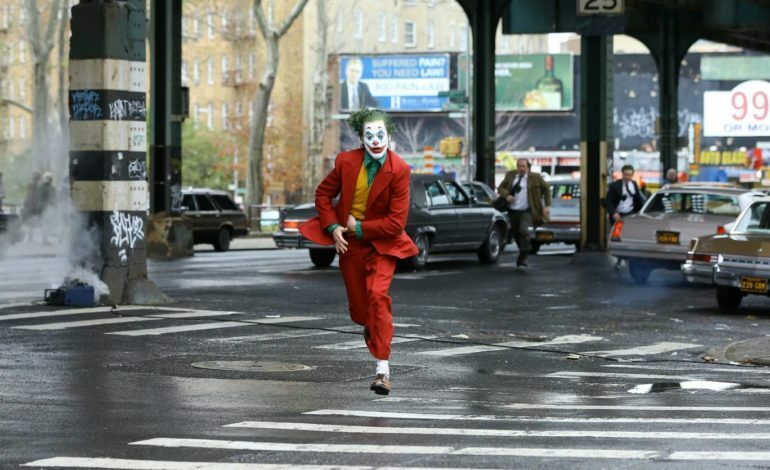 It will follow the origin story of the Joker, going from being a failed stand up comedian to a murderer. The titular villain will be played by Joaquin Phoenix who will star along Robert De Niro, Zazie Beetz, Bill Camp, Frances Conroy, Brett Cullen, Glenn Fleshler, Douglas Hodge, Marc Maron, Josh Pais, and Shea Whigham. The film has had many excited as it will be a dark and gritty retelling, similar to Alan Moore’s iconic graphic novel The Killing Joke where the film will supposedly draw inspiration from. Joker is set to release in the US on October 4, 2019 and the aforementioned post can be checked out below.